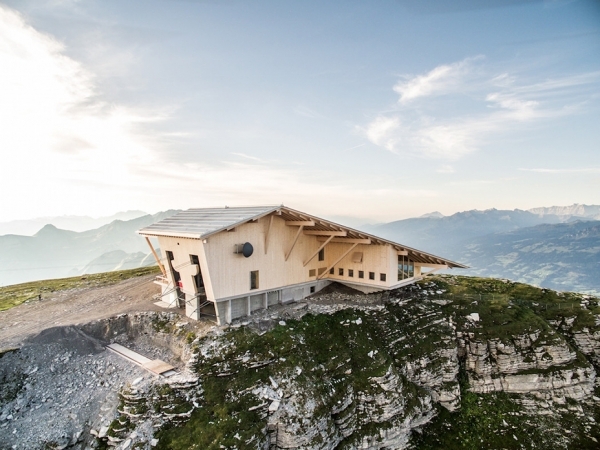 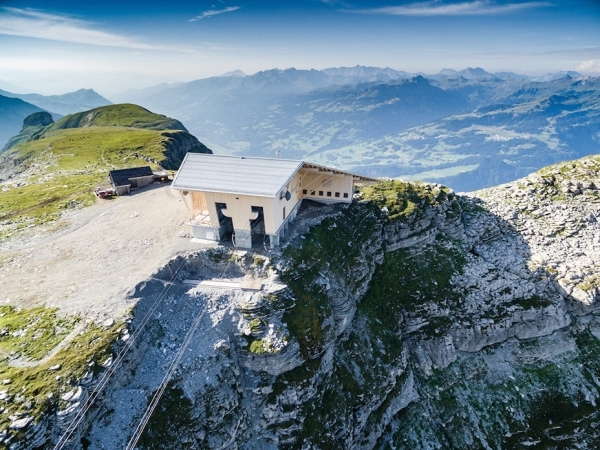 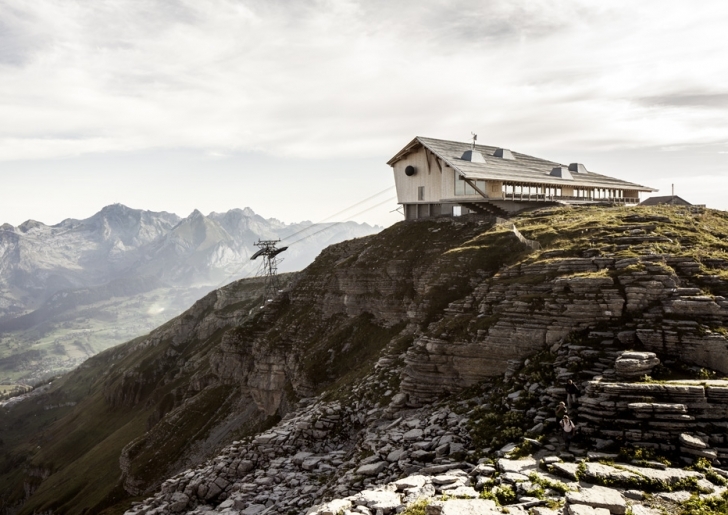 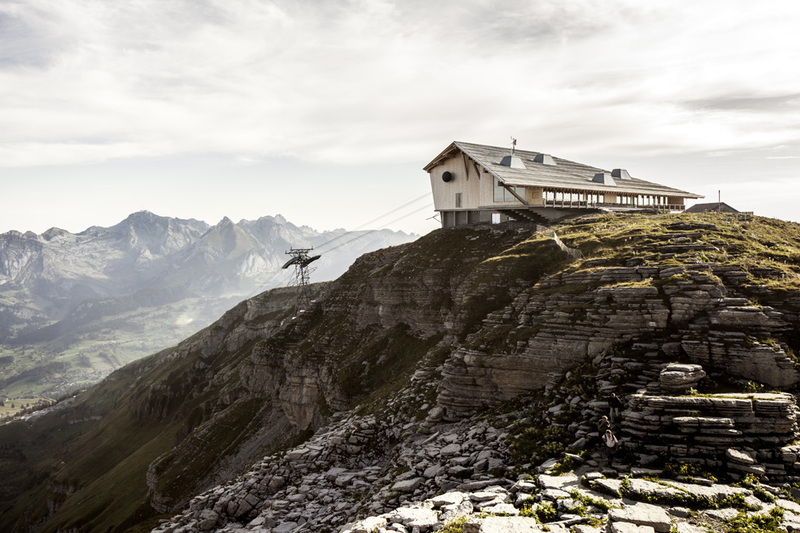 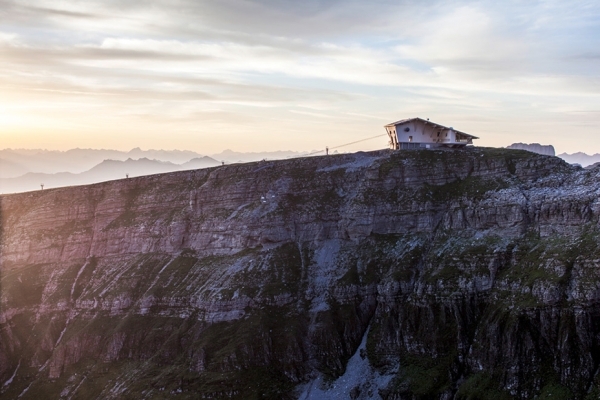 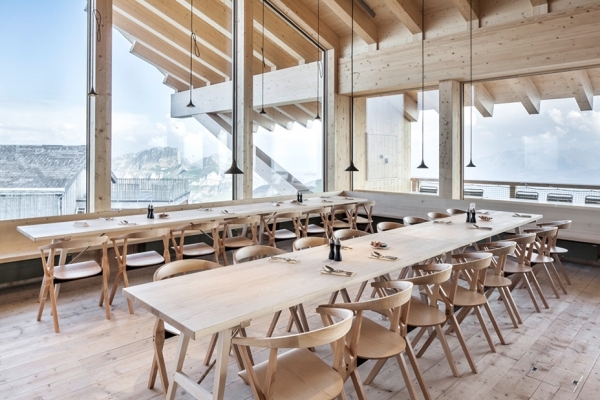 Architects Herzog & de Meuron have created a timber-framed structure cliff restaurant perched on the top of Chäserrugg mountain, within a cable-car station of 7420 feet peak. 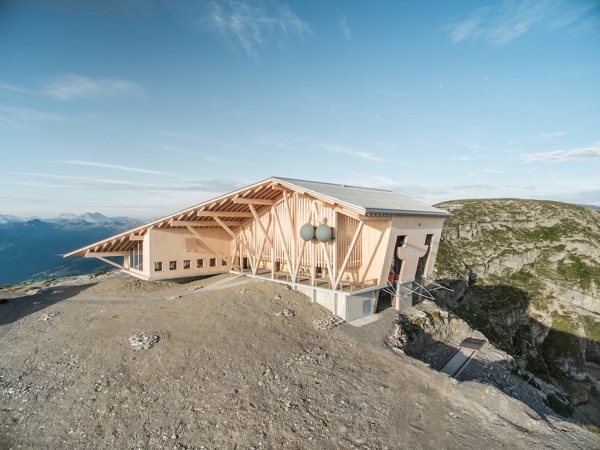 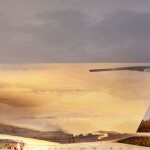 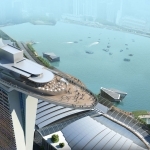 The new mountain restaurant is placed perpendicular to the station, extending horizontally along the mountain panorama towards the south. 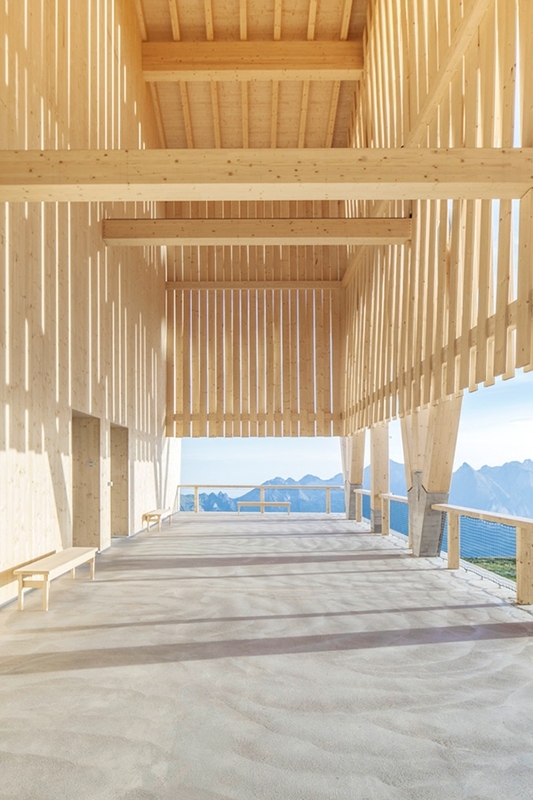 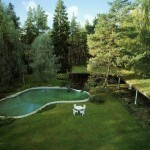 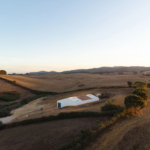 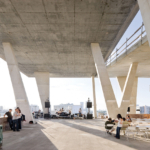 A large roofed area connects the two structures and creates an outdoor arrival hall.